I was super excited when I got the call in October from Rosie letting me know that she wanted to feature me on DC TV - a television station which airs in the DC metro area. 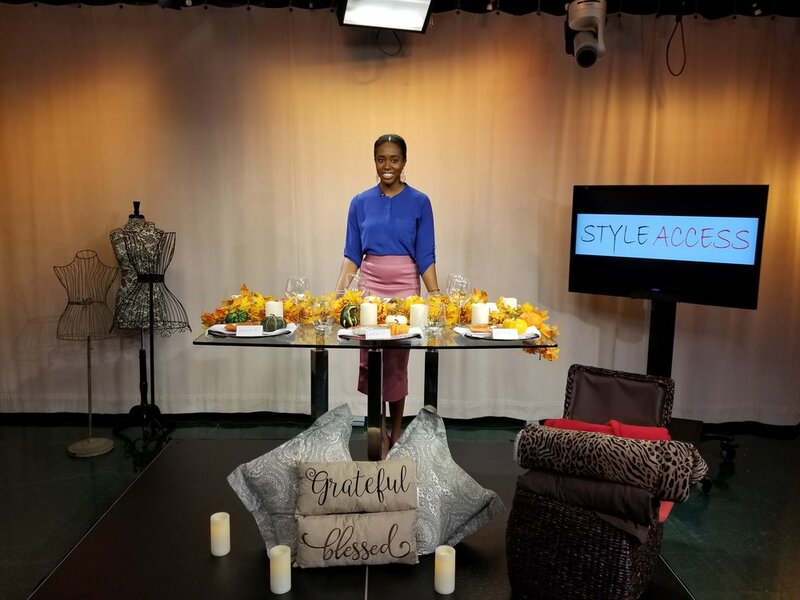 This episode which is all about Holiday decorating tips (Thanksgiving + Christmas) was especially near and dear to my heart as I am a new homeowner, and was preparing to decorate my home and host my family at my place for the holidays for the first time! You can view this episode by tuning into DC TV between now and December 25th, 2017. The full schedule can be found on the DCTV website. Alternatively, you can watch this episode on the Style Access YouTube Channel.